The following is an excerpt from The Behavior Code: A Practical Guide to Understanding and Teaching the Most Challenging Students, by Nancy Rappaport and Jessica Minahan. Ten percent of the school population—9 to 13 million children—struggle with mental health problems. 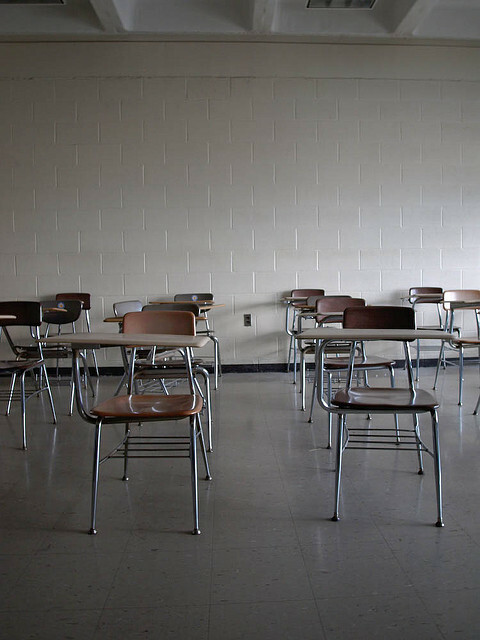 In a typical classroom of 20, chances are good that one or two students are dealing with serious psychosocial stressors relating to poverty, domestic violence, abuse and neglect, trauma, or a psychiatric disorder. These children represent the most challenging students in our classrooms today. Their mental health problems make it difficult for them to regulate their emotions and focus on learning. Often they lack basic skills necessary to regulate their behaviors and, sometimes, to even recognize their own actions. They can be inflexible and have outbursts for no apparent reason—disrupting the classroom routine daily. They can disengage socially or be clingy, sleepy, or irritable. They can defy school personnel repeatedly and argue incessantly. They are the students who keep administrators up at night and the ones teachers dread having in their classes. Many of their stories are heartbreaking. School staff today are under enormous pressure to show progress for every student every year. Yet they are in a bind. One disruptive child can effectively derail an entire lesson. Surveys show that coping with disruptive students are teachers’ number one problem. Our experience working in schools has taught us that to be effective and help each student reach his or her potential, teachers need a new approach to clearly understand what drives student behavior. 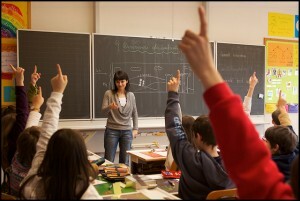 Teachers also need a variety of strategies that allow them to intervene effectively before the behavior is entrenched. A student would behave if he or she could. If the student is displaying problematic, maladaptive behavior, it is a symptom of an underdeveloped skill. When students blow up or act out, it is a sign that they are stuck and can’t cope with the situation. Some may be oversensitive to stress and have an overactive fight-or-flight response. Others may lack basic social skills that are needed to navigate an interaction with a peer, the flexibility to follow a demand like “clean up after your snack,” or the self-regulation to withstand an anxiety-producing task. Even though students’ behavior can look bizarre or disruptive, their actions are purposeful and are their attempt to solve a problem. It is critical to step back and try to decipher what the student is trying to communicate and what the function (or intent) of the behavior is. With practice, teachers can learn to stop and “listen” to the message the behavior is conveying, break the behavior code, and respond in more productive ways. Behavior is never random or aimless. Individuals would not repeat a behavior unless they were getting something out of it. Usually, it is a response from other people that fuels inappropriate behavior. 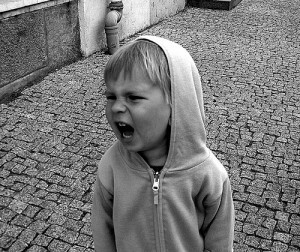 Whining may work to get a teacher’s attention, as does swearing. If a student repeatedly has tantrums and then gets to leave a classroom, she has learned that tantrums further her desire to escape. Teachers first need to figure out what the student is getting from inappropriate behavior, in order to find different ways to respond so as not to inadvertently reinforce the behavior. When teachers feel they have tried everything with a student but the student is still acting inappropriately, the next step is to investigate in a systematic way. 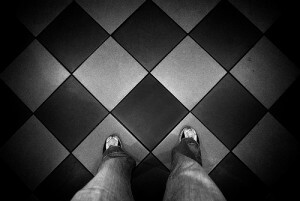 The key to breaking the behavior code is to look for patterns. These patterns can be based on time of day (she always yawns in the morning before snack), activity (he always asks to go to the nurse when math starts), people (she participates more in class when Ms. Irving is there), and many other factors. Once the pattern is discovered, the function or intent of the behavior will often reveal itself: “Oh! He refuses to speak every time an unfamiliar adult enters the room.” Every behavior also has bookends: the environmental variables that occur prior to the unwanted behavior (the antecedents) and the response of the teacher and peers after the behavior. When trying to understand behavior, teachers need to notice these bookends. These are what fuel the behavior and allows it to persist. Although behavior plans are typically thought of as a way to improve students’ behavior, good behavior plans are really a guide for helping teachers develop new behaviors so they can interact with challenging students in a more productive and preemptive way. For some students, when the interventions are spot-on in understanding the function of the student’s behavior and teaching underdeveloped skills, the student can show change quickly. If the student has been demonstrating an inappropriate behavior for years and lacks the necessary skills, it may take longer for her to change. We’ve had students stop behaving inappropriately in only three weeks, whereas other students have tapered off a behavior over a three-year period. The more intensely the student is taught the underdeveloped skills and the more the environment is changed to encourage appropriate behavior, the faster the student’s behavior is likely to change. Building on an understanding of what drives behavior, we provide a framework for a different kind of behavioral intervention plan that we call the FAIR Plan. FAIR stands for functional hypothesis, accommodations, interaction strategies, and response strategies. The goal of the FAIR Plan is to change inappropriate behavior to appropriate behavior for the long term, rather than, for example, simply “managing the behavior” until the end of the year. Achieving this type of change requires teachers to take five basic steps that use the fundamental concepts outlined above. This means minimizing or accommodating things in the environment that tend to set off an incident of inappropriate behavior. By understanding what antecedents are problematic for a student, such as being close to other students or reading aloud, the teacher can intervene effectively and create a classroom environment that is supporting and proactive. If a student can’t tolerate academic demands without an outburst, the teacher may start by asking her to do only 10 minutes of work, reinforce her, and over time build up the student’s tolerance. As the student demonstrates small attempts at self-regulation or the use of pro-social skills, the teacher will reinforce and reward her. 3. Teach a replacement behavior. 4. Address underdeveloped skills that are at the root of a child’s inability to behave appropriately. Teaching the student underdeveloped skills eventually eliminates the need for the replacement behavior. For example, the fist-banging student may need to work on reading skills, perhaps with additional support. 5. Respond to a student’s inappropriate behavior in a way that deters it. Interested in being a guest blogger? NISCE publishes a series of white papers on the challenges and benefits of student-centered education. Download free pdfs of our latest white papers here. Interested in working with us on a white paper? Email twilson@nisce.org. Thanks. ©2014 COPYRIGHT SCHOOLS FOR CHILDREN, INC. ALL RIGHTS RESERVED.